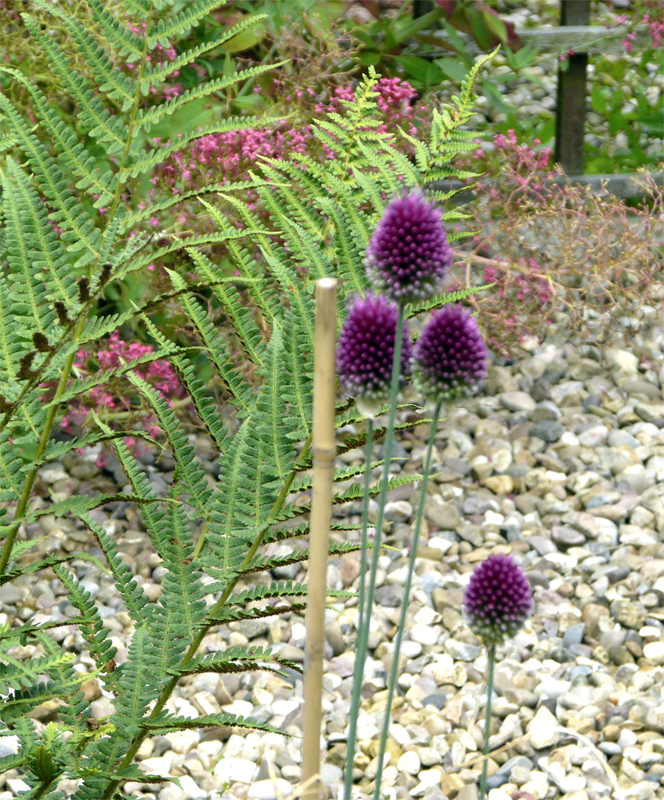 My gardener only does general gardening on a couple of days a week as he is mainly a landscaper. So if the weather is really good he needs to get on with what really brings in the money I guess, then mine has to wait. It’s worth the wait though. Anyway here is what I found to share today. 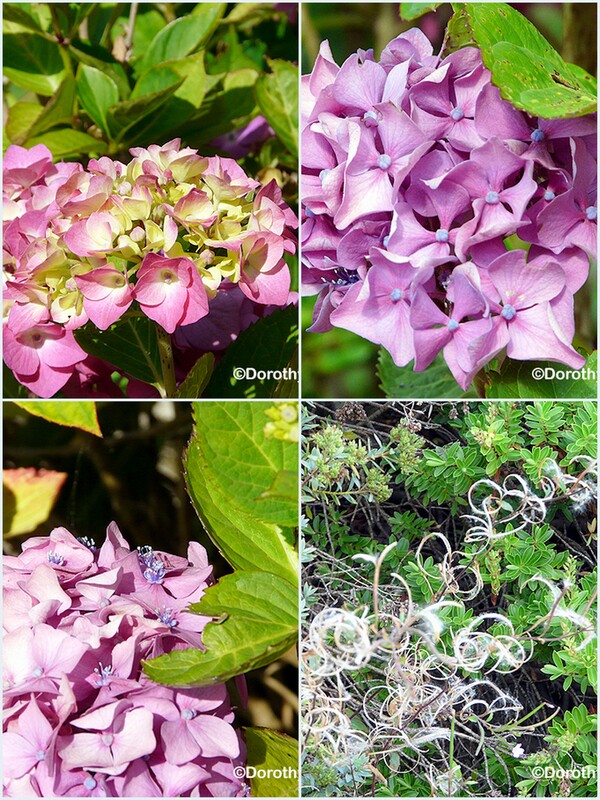 I love the curly weed bottom right in the picture below as well as the many different colours on the hydrangea. Close up of one of the above…. 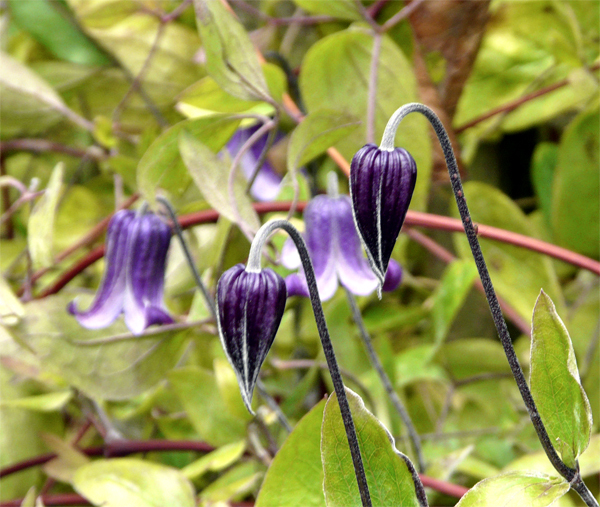 love the little flowers in the centre of each flower. 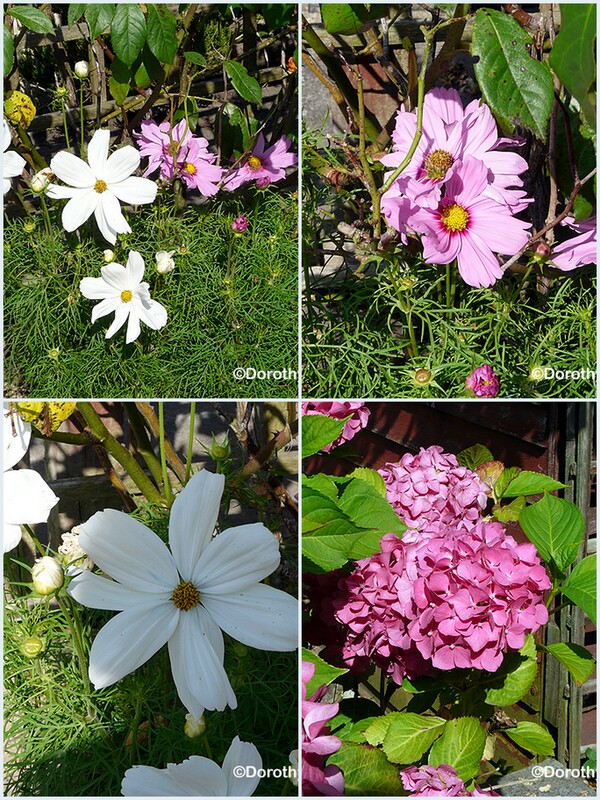 This entry was posted in My Garden and tagged Cosmos, Hydrangea on July 28, 2014 by dorothyag. 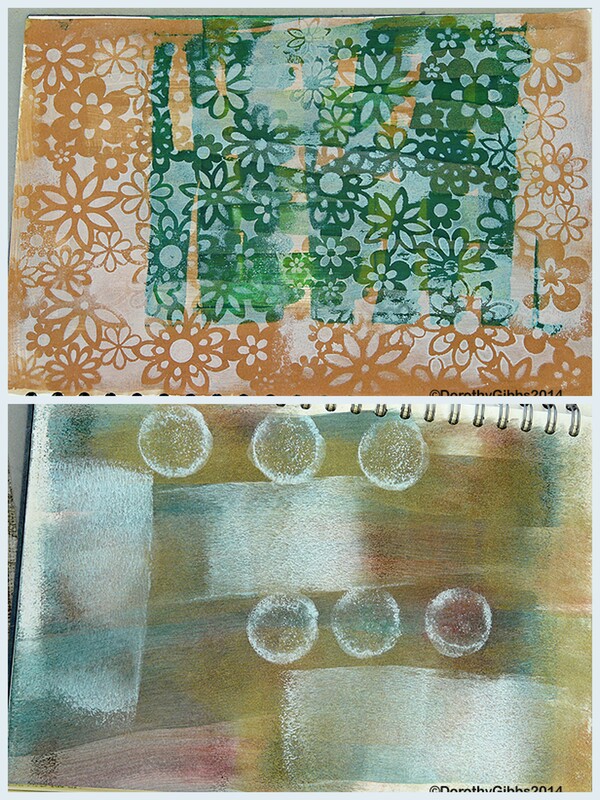 Today I want to share some of my own work from day 2 of the workshop. 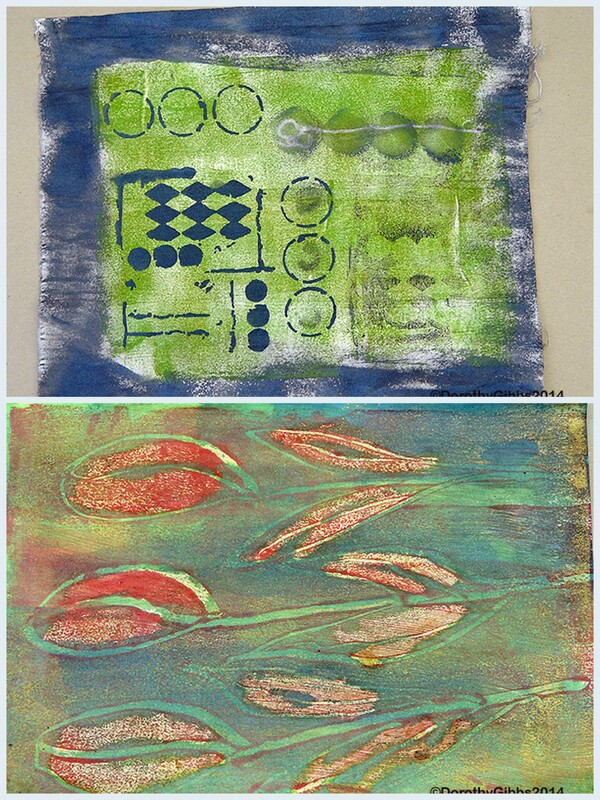 Some altered stencilled, gelli printed images. 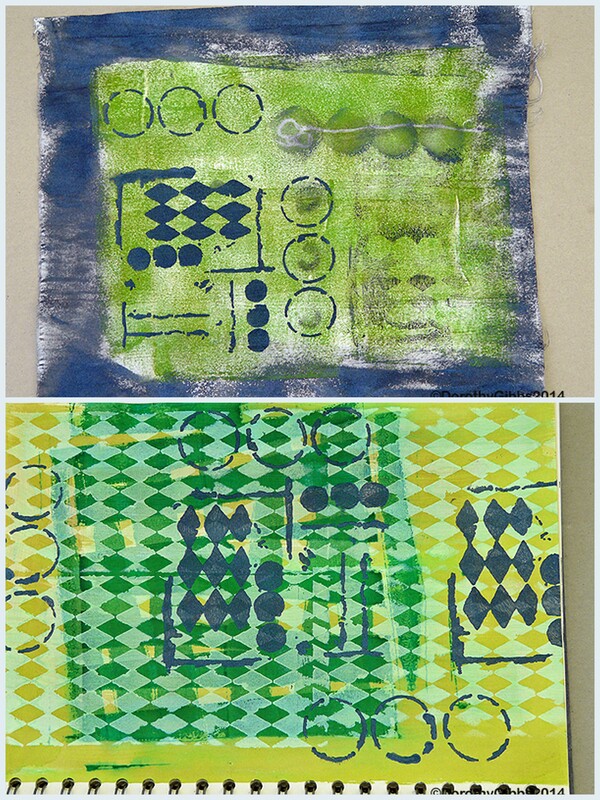 In the folloing image, the one on the right is a failed screen print on fabric, which has been overdyed and stencilled. 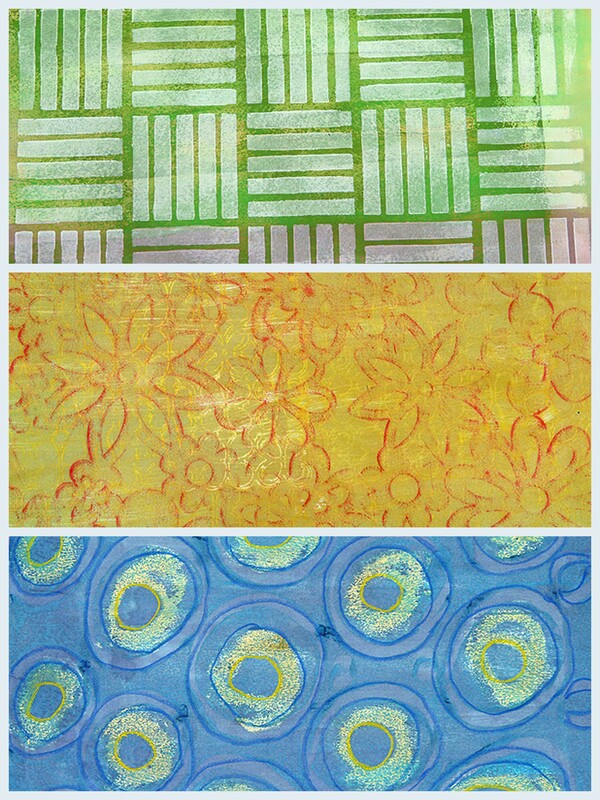 The right hand one is a monoprint which has been over dyed and paint with a thin glaze of gold acrylic which doesn’t show in the photo. Two sketchbook pages are next. The bottom one is another sparkly one in the right light. 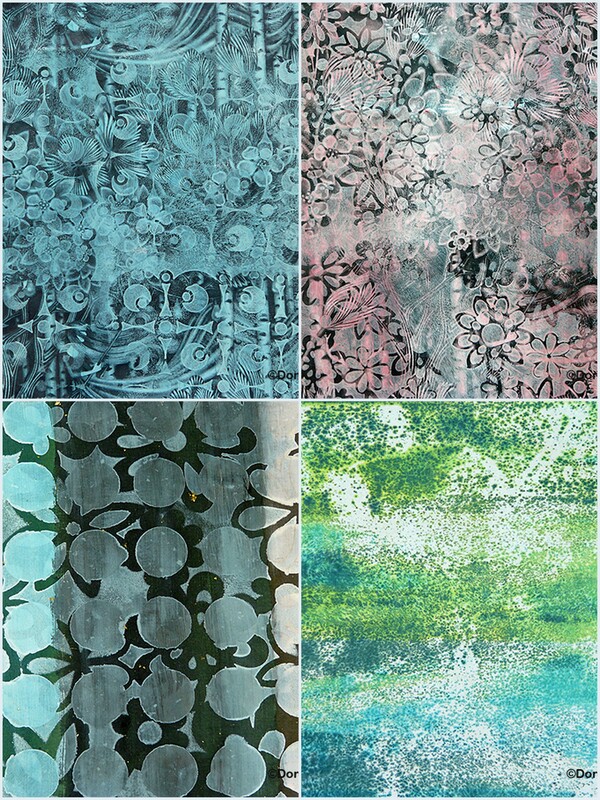 This entry was posted in Mixed media and tagged Canvas, Gesso, Mixed media, Screen printing on July 28, 2014 by dorothyag. 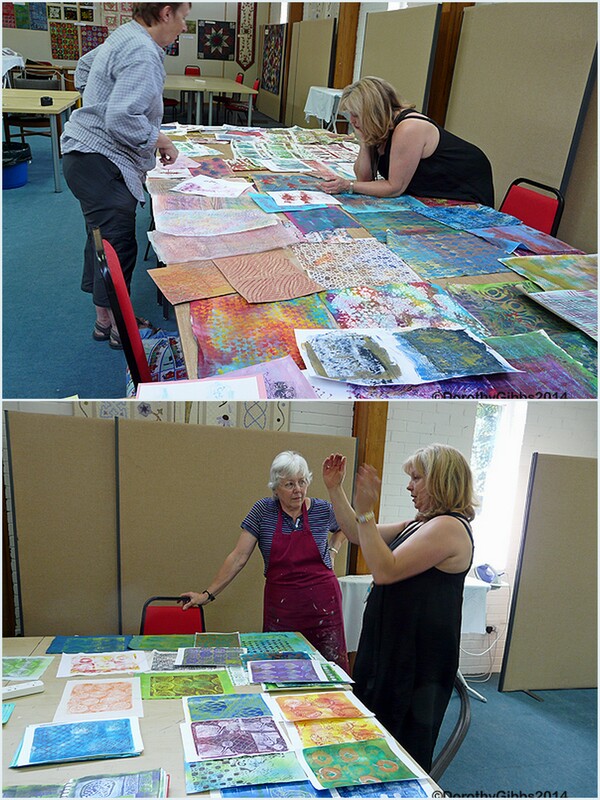 I have just enjoyed two very hot but very enjoyable days at the Bramble Patch with Hilary Beattie. This post is going to show some random images I took of what was happening around the room. 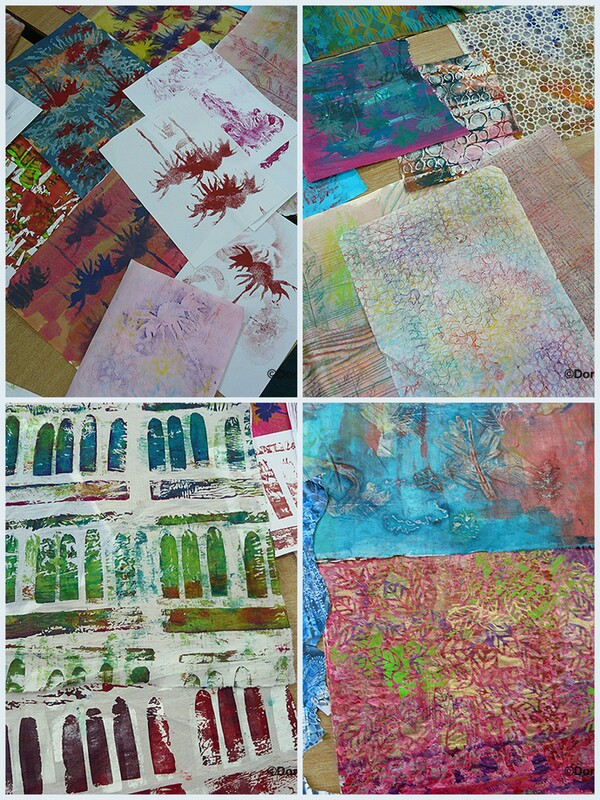 This week we were working with re-cycled papers, fabrics etc. 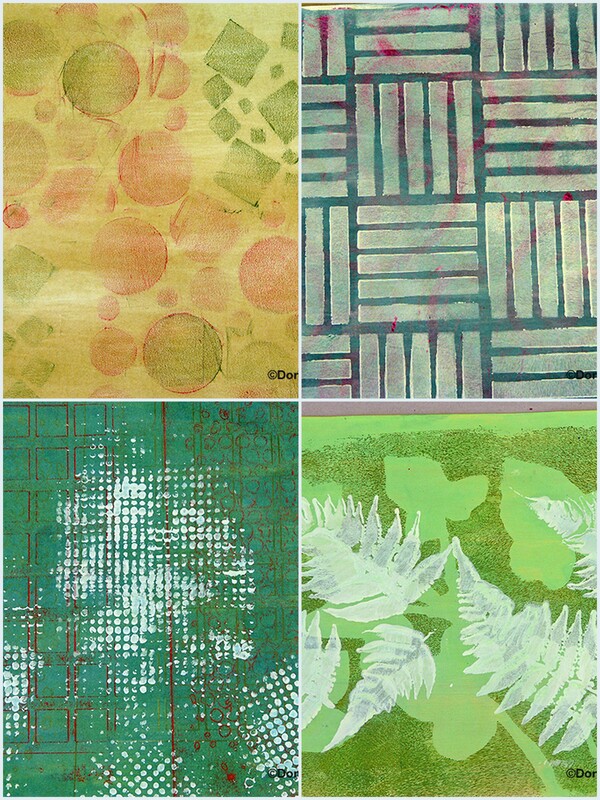 in order to make more images from which we can choose when we come to the design workshops later. The following two collages are a selection of what I saw other people doing. Next we have our fearless leader dispensing pearls of wisdom to some of the students. Hilary went round the class doing this for us all so that we had a good idea of what we still need to do before we get to the design stages of our final pieces , which will be started in September. 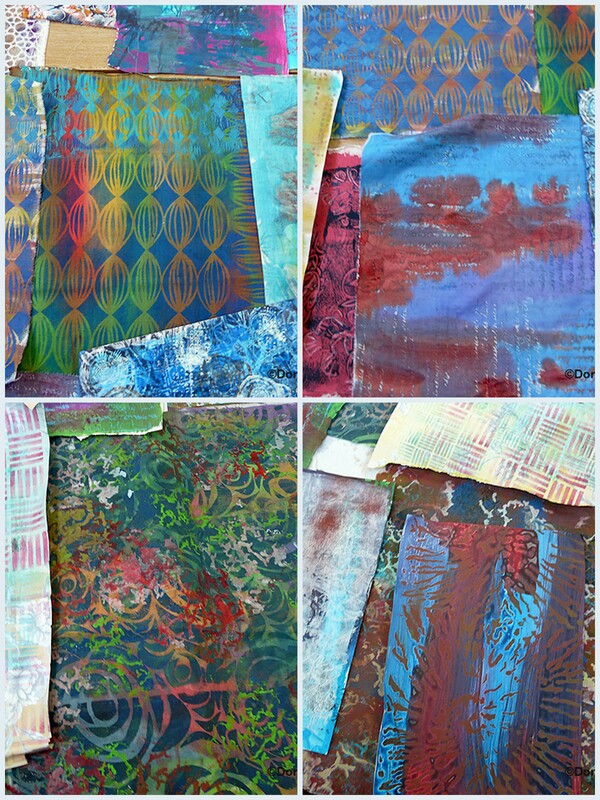 This entry was posted in Uncategorized and tagged Acrylic, Gelli Plate, Gesso on July 27, 2014 by dorothyag. 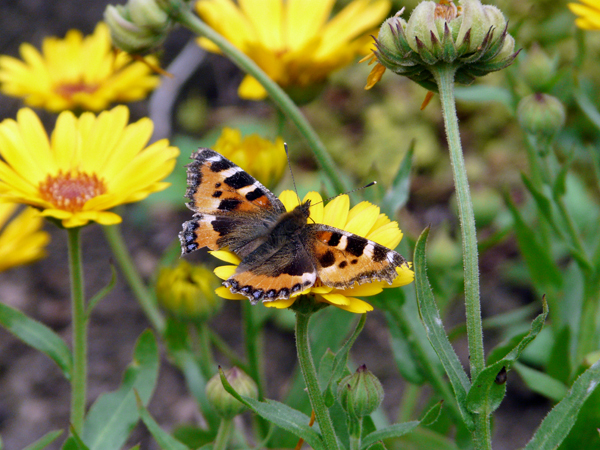 This is what is out in the garden at present. 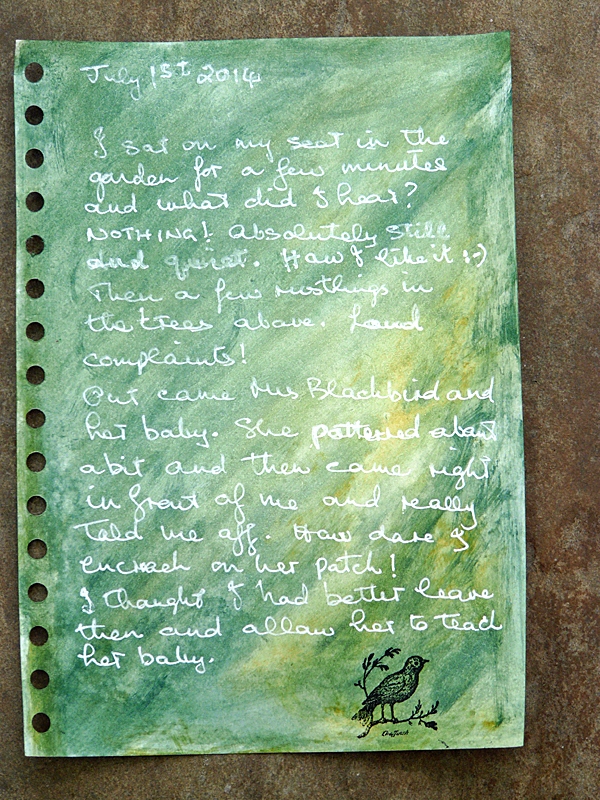 Whilst I was looking around I heard birdsong coming from somewhere and I couldn’t see who was singing…. 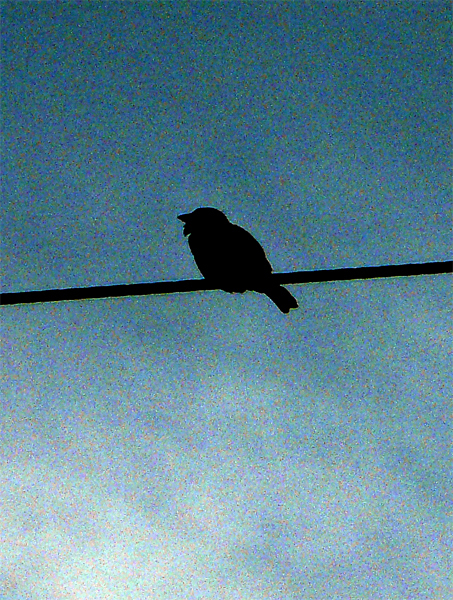 then I looked up and there it was, on the overhead telegraph wires. Rather a long shot but I did my best. The song seemed so loud I thought it was much nearer than this. 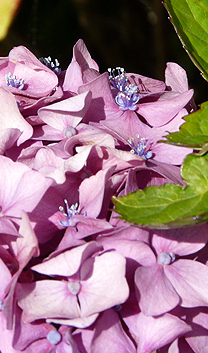 This entry was posted in Mixed media, My Garden and tagged Alium, Begonia, Butterflies, Clematis, Journal, Myfanwy Hart on July 15, 2014 by dorothyag. 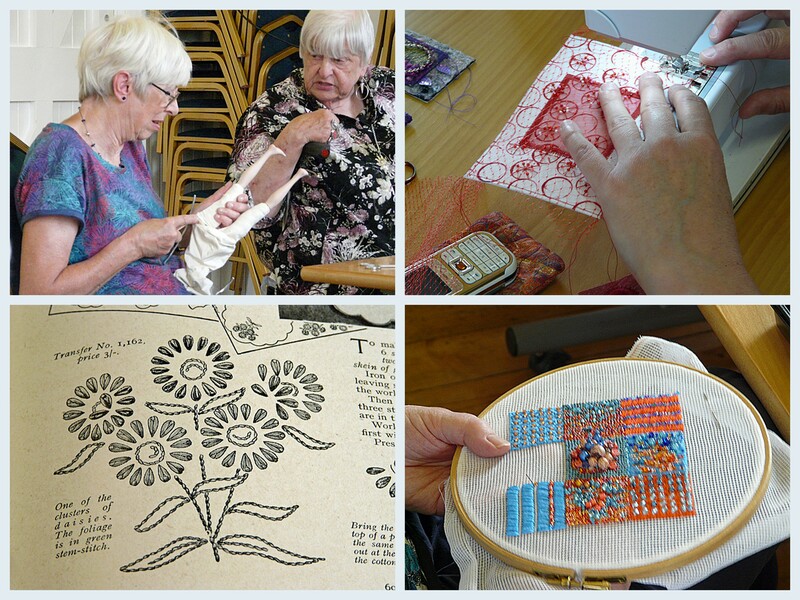 I had such a lovely day yesterday sitting stitching with friends from the Lutterworth Embroiderers’ Guild. 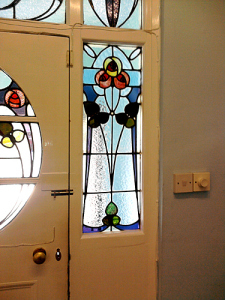 We have a few of these throughout the year and we take what we are currently working on and just get on with it. 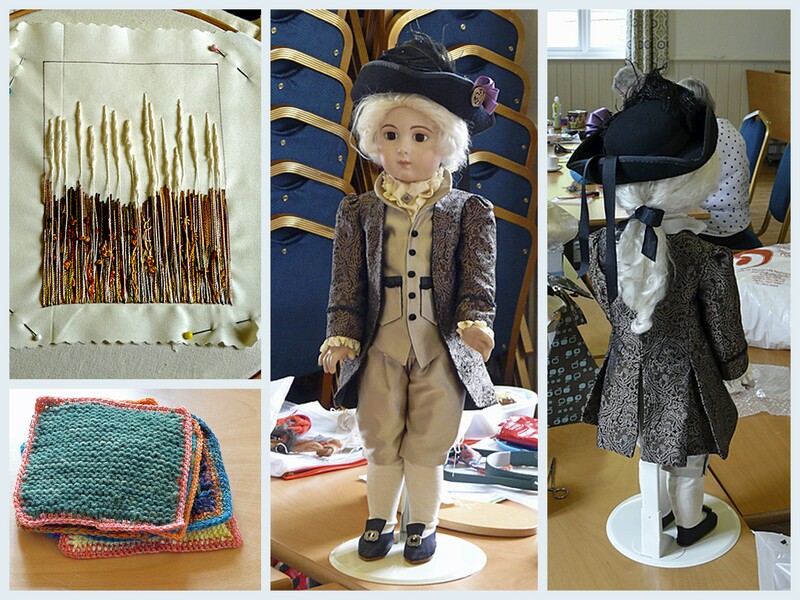 It is great to walk around the room and see what everyone is doing and it is always very varied. I took some photos and will share them with you. All the photos will enlarge if you click on them. Above we have friends chatting while doing unmentioable things to dolls legs! Some Machine embroidered post cards being made. Some beautiful beading, sorry it isn’t in perfect focus. 😦 The last one is an image from a vintage embroidery book from eBay that my neighbour brought to show us. It was fascinating, so well illustrated also still very relevant today in many ways. Work in progress on an Autumn Field, Knitted blanket squares with crocheted edges and this gorgeous doll. Front and back views. 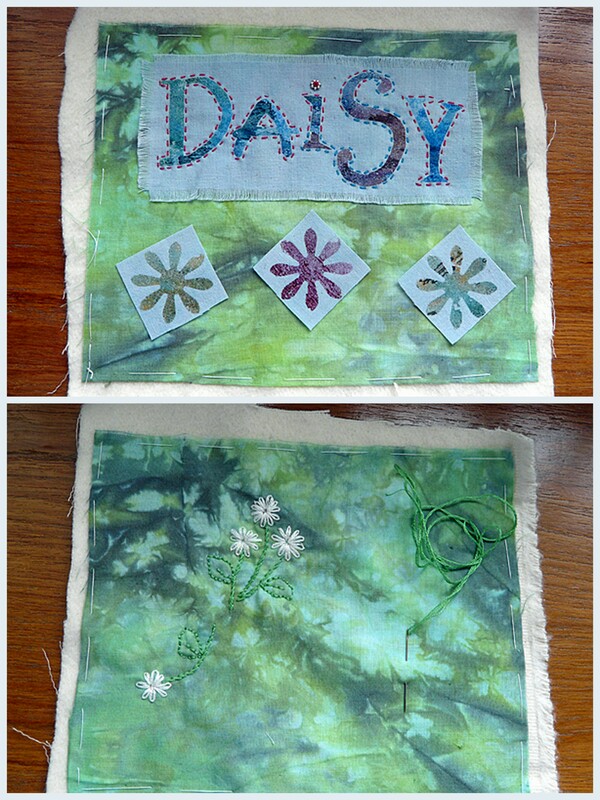 I was working on the front and back covers for my book about daisies. 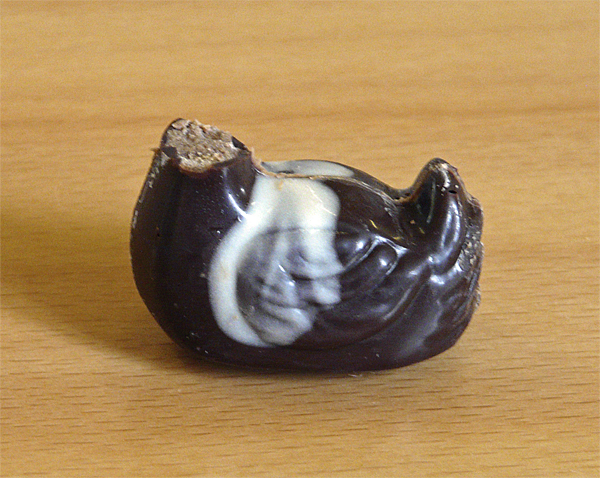 Which I then ate! Yum Yum, delicious. This entry was posted in Stitching Related on July 13, 2014 by dorothyag. 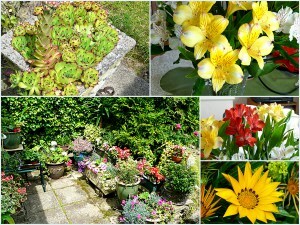 Today I thought I would share a collage of images taken a few days ago in my elder sister’s pretty little garden. Isn’t it nice? 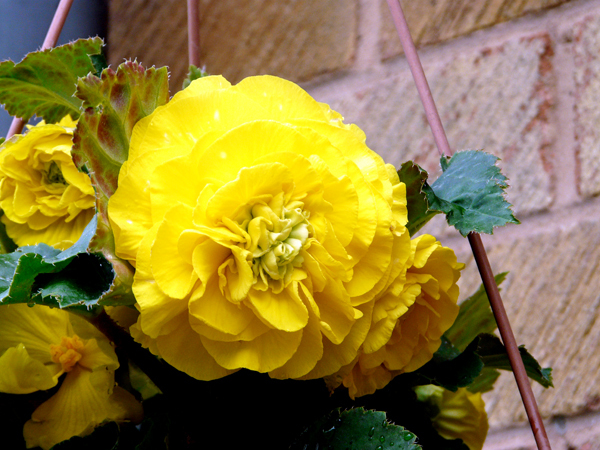 This entry was posted in My Garden on July 6, 2014 by dorothyag. I lost my reading glasses recently so had to go and get my eyes tested for new ones last week. 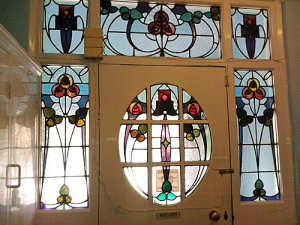 It’s in what used to be a lovley old house and boasts this beautiful front door.